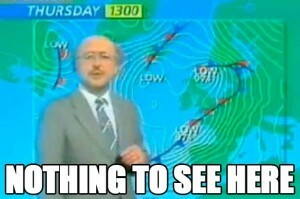 Apparently here in the UK we’re due a heck of a storm over the next 36 hours, and all hell will break loose. Me, I’m old enough to remember Hurricane Charley hitting our east coast in August 1986 – I was camping at a place called Beadnall in Northumberland, and my enduring memory of that holiday was holding onto the tent frame hoping it wouldn’t fly away. Now that was a storm. 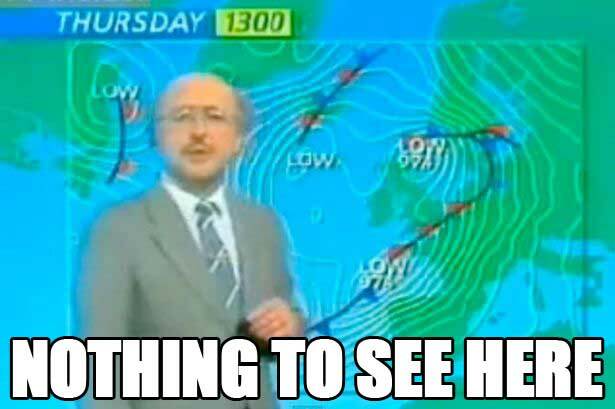 You might also be old enough to remember that storm which ‘ace’ BBC weatherman Michael Fish didn’t predict, as well.